Go ahead, zombies. Just try your siege of the undead on this mansion. See how far it gets you. We’ll just be waiting right here while you all collectively drown yourselves. 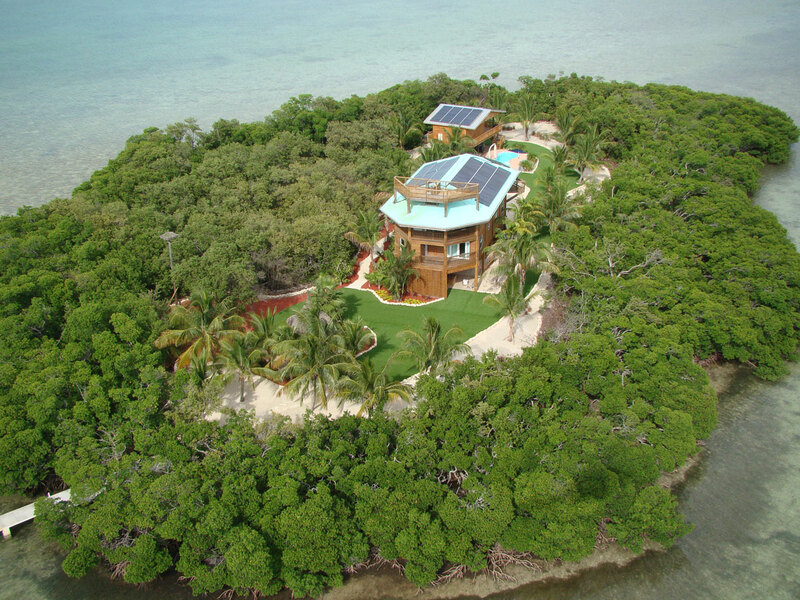 Want Your Own Florida Key? I told my wife I was giving her a Florida key for her birthday. She thought she was getting an island. She instead got a keychain of an orange wearing sunglasses. 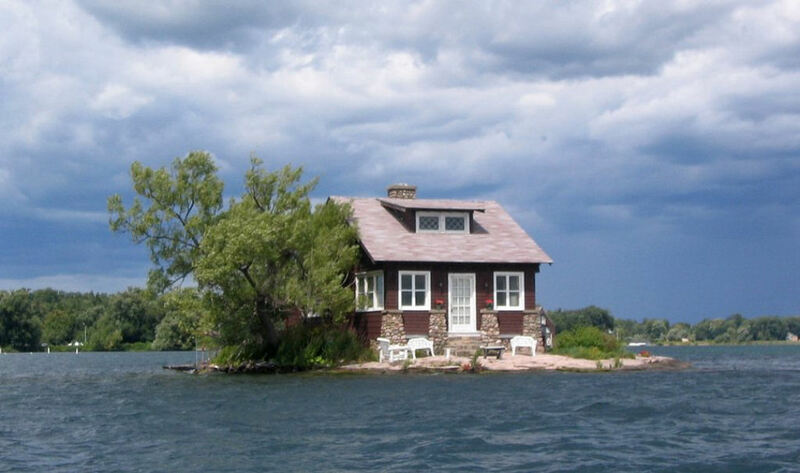 What you’re looking at is a quaint bed and breakfast on East Brother Island in California. For a cheaper place to stay in the area, might I suggest throwing a pillow in your row boat while you shiver in the choppy waters outside? It’s almost as if they took a typical suburban house, and then sunk all of their neighbors for miles into the ocean. Hang on, has this architect been reading my dream journal? 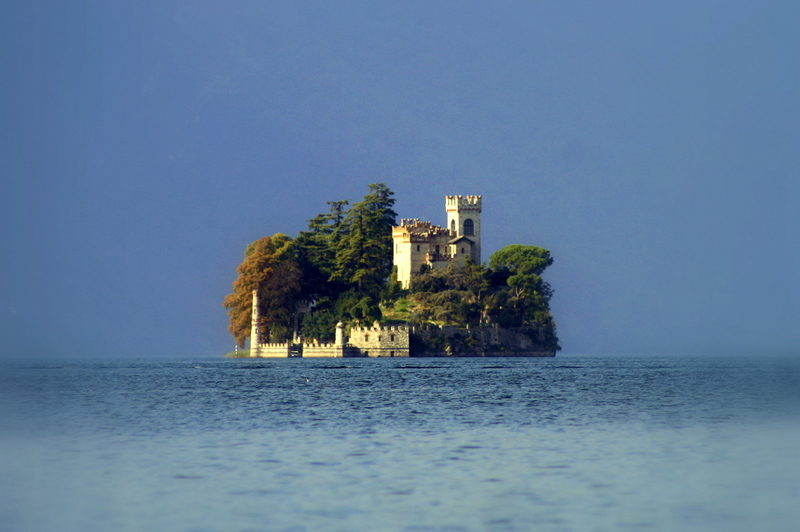 True story: This castle on an island in Italy is actually owned by George Clooney. He realized he was going to need a defense bunker after reading all the reviews for The Monuments Men. This property was recently listed for sale at the price of $4 Million. In lieu of cash, do you think they’d accept expired Pepsi points? This house is for the most special of real estate buyers: people who think living in the state of Alaska isn’t private enough. 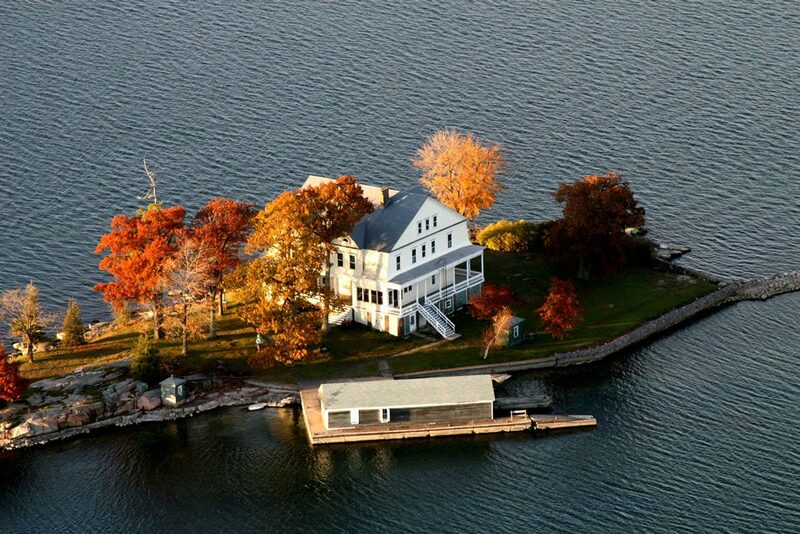 Fun fact: This island, along with eight others off the coast of Connecticut, is owned by a wealthy New York widow. She intends to give away one island to each of her nine children. My mother did the exact same thing for me, except instead of islands, it was a lifetime of guilt and passive-aggressiveness. This is one of the 300 island in “The World” (that artificial archipelago off the coast of Dubai). It was given as a gift to racing driver Michael Schumacher on the occasion of his final Grand Prix, because as we all know, when somebody is already exceedingly wealthy, we should just give them lots of expensive things for free. 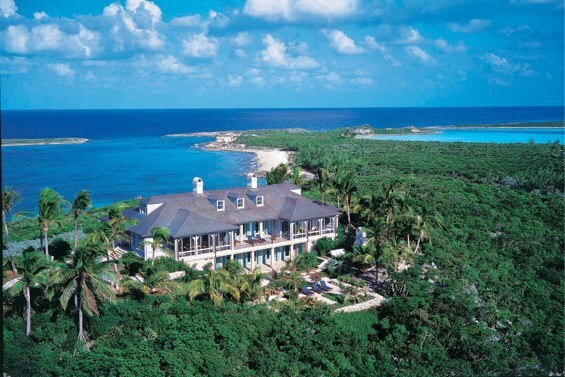 This is Musha Cay, the 150-acre island in the Bahamas that belongs to David Copperfield. Word is he spent $50 Million to buy the thing, and is graciously willing to rent it out to guests for the humble price of $39,000/day. But hey, I’m sure your family’s trip to Club Med was nice, too. And no, I don’t want to see any of your pictures. The good news: This upstate New York paradise can be yours for only $2 Million. The bad news: It’s right on the border with Canada, so young Canadian thugs may attempt to pelt your house with superior comedy and universal health care. I had a suspicion that Trump Island was owned by Donald Trump. Not because of the name, mind you, but because the island hired a bunch of workers to build its house, then declared bankruptcy to avoid paying them…and now it somehow thinks that makes it qualified to run for president. This, however, is my favorite private island photo in the lot. It proves that there’s no need to spend millions building a huge mansion. Even if you only have the money to build a small, single-room cabin, it’ll still look epic.